Los Angeles Dodgers third Baseman Manny Machado couldn't help his team to victory. 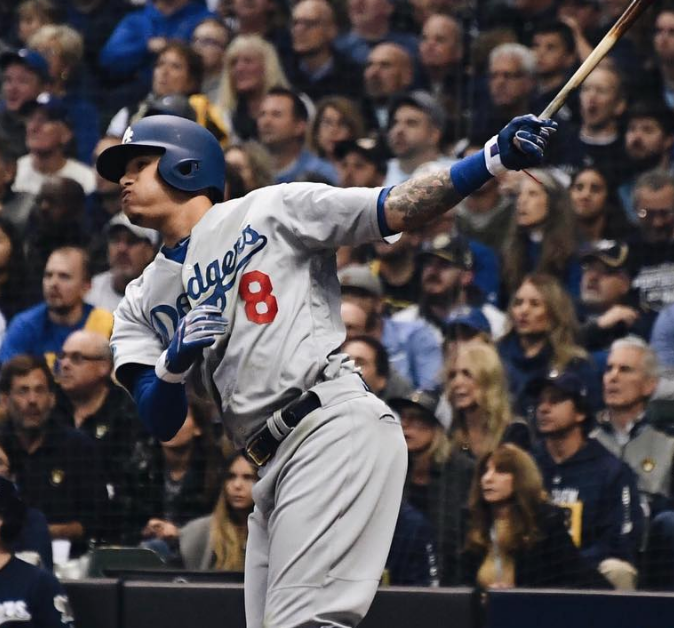 MILWAUKEE, WI—The Los Angeles Dodgers were defeated by the Milwaukee Brewers 6-5 on Friday, October 12 during Game 1 of the NCLS. The Dodgers started the game well with third baseman Manny Machado continuing his hot play with a home run down centerfield. The score was 1-0 at the top of the second, but the Brewers took the lead in the bottom of the third inning. Pitcher Brandon Woodruff hit a surprising home run and center fielder Lorenzo Cain scored because of a Dodgers star Yasmani Grandal’s error. The Brewers were ahead 2-1. The home team continued to roll in the next inning. Catcher Manny Piña and shortstop Orlando Arcia scored off right fielder Domingo Santana’s single. Santana scored off a Ryan Braun (LF) single, making the score 5-1. Milwaukee would score their last points of the game in the bottom of the seventh inning. First baseman Jesus Aguilar smashed a homer to the right. The Dodgers would make a run of their own, though. In the top of the 8th inning, outfielder Joc Pederson, outfielder Chris Taylor, and infielder Max Muncy all earned runs, bringing the score to 6-4. In the top of ninth, Pederson scored off a Taylor triple, but, the Dodgers could not tie the game, and lost 6-5.